Playford Hall is a stunning building. It's got those elegant long chimney stacks of tudor times befitting a house of it's grade 2 listed status. 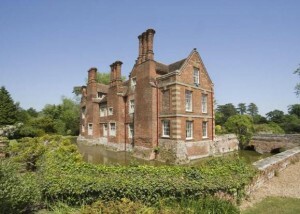 Built originally for Sir Anthony Felton, the High Sherriff of Suffolk in 1597. Originating as an E-plan house it has been changed over the years.